How Do You Protect Assets? What are the Risks of Improper Elder Care in Connecticut? What Is a Nursing Home Asset Protection Trust? Medicaid and Medicare: What’s the Difference? Elder Law FAQs: How Expensive Is Long-Term Care? Are There Exceptions to the Five-Year Medicaid Look-Back? Will Medicare Pay for Long-Term Care? Can a Trust Provide Medicaid Asset Protection? Will Medicare Pay for All of My Health Care Expenses? Free Report: Medicaid Planning in Connecticut: What Can the Healthy Spouse Keep? What Is the Medicaid Maximum Asset Limit? Do Elder Law Attorneys Practice in Other Legal Areas? How Can You React to Lack of Retirement Preparedness? What Is the Five Year Medicaid Look Back? What Questions Should I Ask an Elder Law Attorney in Hartford CT? What Is an Elder Law Attorney in Hartford CT? When Is It Too Late to Do Medicaid Planning? Long-Term Care Assistance: Do You Qualify? Do You Have Advance Directives In Place? Academy Event in Las Vegas Hit the Jackpot! How Can I Best Pass My Wealth Onto My Kids? What Does Spousal Elective Share Mean? How Can You Leave Money to an Irresponsible Heir? How Can You Minimize Your Estate Tax Exposure? As the World Turns: Is Your Estate in Taxable Territory? What Does the Term “Funding a Trust” Mean? Does Medicaid Count Assets In My Living Trust? How Can I Prevent Inheritance Squandering? How Long Will My Heirs Have to Wait for Their Inheritances? Free Report: What Is Included In My Estate Plan? Is My Life Insurance Part of My Taxable Estate? Does Your Estate Plan Need Revisions in 2015? When Does a Living Trust Terminate? Who Can Act as Trustee of My Revocable Living Trust? Who Is Competent to Create a Will? Is Confidentiality Important to You? Pre-Nup: Cold, Or Merely Practical? When Does a Power of Attorney in Connecticut Terminate? What is a Guardianship in Connecticut? What Is Legacy Wealth Planning in Connecticut? Does My Spouse Get Everything If I Die Intestate? Why Is Advance Planning Important? Free Report: Can I Give Assets to Qualify for Medicaid in Connecticut? What is a Supplemental Needs Trust in Connecticut? What Can I Keep When My Spouse Qualifies for Medicaid in Connecticut? Is There an Estate Tax in Connecticut? What Is an Authorization for Final Disposition? How Long Do Large Inheritances Typically Last? Can an Estate Executor Distribute Assets Immediately? Are You Unconcerned About Incapacity Planning? Aging Is Inevitable … Do You Have a Plan? How Large of an Estate Can Pass Federal Estate Tax Free? Probate in Hartford Connecticut: Does It Cost Anything? Do I Have to Pay Taxes When Someone Leaves Me Money? What Is the Annual Gift Tax Exclusion in Hartford Connecticut? Should I Use My Unified Exclusion in Hartford Connecticut While I’m Living? What Will Happen to My Property If I Die Without a Will or Trust? Connecticut Estate Planning: What Is the Marital Deduction? Intestate Succession Laws in Hartford: What Happens if I’m Single When I Die? 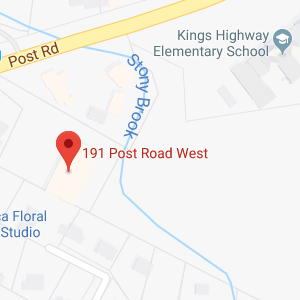 Trust Administration in Hartford CT: Can Someone Contest a Trust? What Are the Differences Between Legacy Wealth Planning and Traditional Estate Planning? Does Your Trust Still Make Sense? Have You Considered Possible Incapacity? Final Arrangements: Are You Prepared? Medicaid: What Can Community Spouse Retain? Are You Prepared For Your Twilight Years? Why Retain An Estate Planning Lawyer? Who Is Exposed To Estate Tax? Do You Have Specific Legacy Goals? Is Money Management Ability A Concern? Is Life Insurance A Part Of Your Estate Plan? Estate Planning: Do You Have Goals? Is Your Pet Provided For In Your Estate Plan? Is Charitable Giving Part Of Your Estate Plan? 35% Estate Tax: This Is Relief? 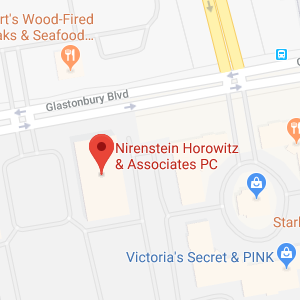 Welcome to the Blog of Nirenstein, Horowitz & Associates, P.C. What is the Gift Tax Limit? How Can I Prevent a Guardianship? Who Handles My Affairs If I Become Incapacitated? What Are Advance Directives for Health Care? Does Medicaid Cover In-Home Care? Who pays for Nursing Home Costs for Seniors? How Does a Medicaid Trust Work? How Old Do You Need to be To Get Help from a Hartford Medicaid Attorney? Will My Father Qualify for Medicaid? Can Medicaid Take Your IRA? Can I Lose My Medicaid Eligibility Once I Am Approved? Who Takes Care of Estate Assets During Probate? What if the Executor of a Will Makes a Mistake? Is Probate Required After Any Death? What are the Steps to Hartford Probate? Is Avoiding Probate Really Necessary? Is Probate a Lengthy Process? Free Report: What are the Drawbacks of Probate? Are Revocable Living Trusts Only for the Wealthy? What Is Probate in Connecticut? Probate Avoidance in Hartford: Can Probate Be Avoided? Why Keep Your Heirs Waiting? Is a Retirement Annuity Right for You? Are You on Track to Retire On Time? How Early Can I Start to Collect a Social Security Benefit? How Can I Maximize My Social Security Benefit? Can I Work When I’m On Social Security? Where Is My Social Security Statement? Will Deficit Reduction Impact Your Retirement? Free Report: What is a Special Needs Trust in Connecticut? Can I Leave My Estate to My Spouse Tax-Free? What are Living Trusts Used For? What Can Happen if You Don’t Do Inheritance Planning? What Can You Expect After a Loved One Passes Away? What Services Do Glastonbury Estate Planning Attorneys Provide? How Can I Avoid Unwanted Medical Care? Can Young People Create a Trust? What are the Consequences of Estate Planning Mistakes? What if I Make the Wrong Kind of Trust? Should I Create a Will? Why do you need to get financial planning assistance? How can you know if you’re ready to retire? Do single parents face any specific estate planning issues? Will tax reform change estate planning rules? Why would you want to create a revocable living trust? Are wills sufficient for an estate plan? How do Medicaid planning and asset protection trusts work? What is the Medicaid Five-Year Look Back Rule?